Beach 25 – Check out the update! 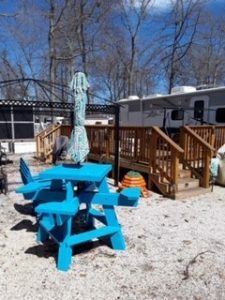 Beach 25 - Great Unit - Lots of Extras! 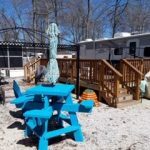 The current owner’s have paid the first annual lot rent installment payment – this means huge savings for you! 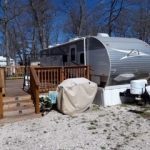 A great unit at an unbelievable price! 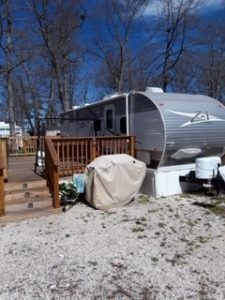 Like new 2013 Crossroads on a level and huge lot. 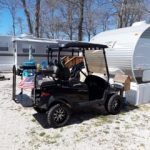 This fantastic unit sleeps eight with two bedrooms and comes with a golf cart, shed and so many extras you have to see it to believe it. Please contact us today for a private showing! Area: Great location - Come and see for yourself. 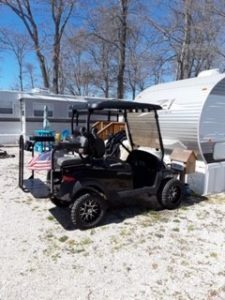 Home Features: So many extras including golf cart, awesome shed, furniture and more!